Fans: Muti can't save Bafana! The Africa Cup of Nations (AFCON) is under way and I can’t say I’m overly surprised at the high number of draws from the early action. Stalemates are generally inevitable as teams are feeling each other out and waiting for the other to make the first move or mistake. If teams are brave enough to go for the win in their first match and then manage to do so, they are then largely in control of their own destiny. Lose, however and it becomes very difficult to qualify for the knock-out stages. So most teams are happy to settle for a draw in their opening encounter, especially those who face more-fancied opponents. It was a great draw for AFCON debutants Cape Verde, who were more than pleased with a point against South Africa. In equal measure, it was a bad result for Bafana Bafana who should regard it as two points dropped. I believe Bafana showed a lack of character and determination to take the game to the visitors. Thousands of loyal supporters packed the stands at the National Stadium, in the rain no less, and left downhearted. South Africa’s play lacked cohesion, confidence and tactical nous. Of concern was the fact that they created very few genuine opportunities, and only had two shots on target over the 90 minutes. While team selection is up to Gordon Igesund as only he knows why he played certain players over others, I would like to see a few changes in terms of personnel. Lerato Chabangu should start against Angola on Wednesday, while Thulani Serero would also be a starter in my side if his match fitness has returned. Tokelo Rantie is another exciting option upfront as he is lively and will run at the opposition all game! In terms of alterations in the midfield, I would like to see Dean Furman return, having been an unused substitute against the Cape Verdeans. Furman would be able to fulfil the holding role in midfield, as I feel Kagisho Dikgacoi is actually more adept in an attacking role, which he plays for Crystal Palace in the Championship. After the 0-0 draw with Cape Verde, Igesund said that his team froze! In my view, that is the most disappointing reason that the coach could give us as supporters. It’s not Igesund’s fault, but rather the players’ as freezing up on the big stage is very sad. All the players should want to impress on the big stage, and show off their talent in front of their home fans. To me, that is what all professional sportsmen dream of doing. Turning to Bafana’s upcoming clash with the Sable Antelopes, I believe that the current team will experience just what we did in our second group game in 1996. The Angolans will be very physical, will run all day at Bafana’s rearguard and will be intent on playing the long ball to gain penetration. Bafana must be ready for a tough battle and must not stoop to the same tactics, because if they do, I feel they will come off second best, which will certainly hamper their hopes of progressing. The most important thing at this moment is not to talk about 1996 and compare the current side to the one I played for. What we achieved is now part of history and I feel the current side need to write their own story with their own characters. My message to the side is clear - play with focused commitment and you will gain the rewards by keeping a clean sheet and scoring goals. Remember guys, all we ask of you is to show passion and commitment and we as fans will get behind you all the way! 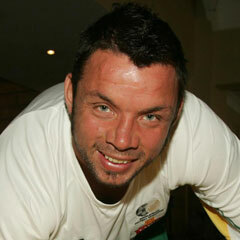 Mark Fish, capped 62 times for South Africa, was a key member of the 1996 Africa Cup of Nations-winning side.